Santa Clause is comin’ to town… get out the Gingerbread Cookies! SANTA, I KNOW HIM! – Name that movie? Alright, I know, easy one … Elf! I can’t help myself, I just love that movie! As we end the 12 Delicious Days of Gingerbread countdown, I had to leave you with a homemade cookie recipe I whipped up last week. 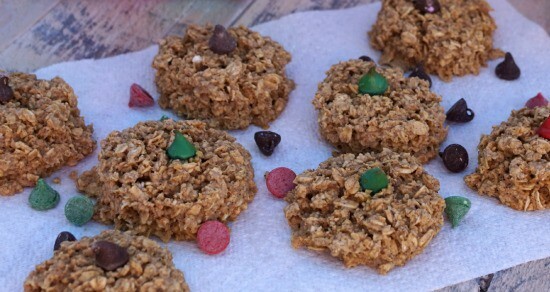 Just in case Santa developed a gluten intolerance this year, I thought I’d make these gluten free too! 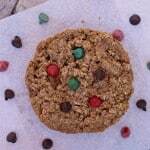 Also, because it’s chocolate day (December 24th = National Chocolate Day), I decided to add a little more holiday spirit with a few red and green chocolate chips. Don’t worry, the whole grain oats I used in here adds that extra oomph of fiber and protein to make these heart healthy but satisfying enough for the kiddos to enjoy too! Stealth health to the rescue, I think yes! Merry Christmas Simple Swappers, I wish you a wonderful holiday! In a food processor, pulse 3 cups of whole oats until resemble a coarse like consistency, roughly 1-2 minutes. 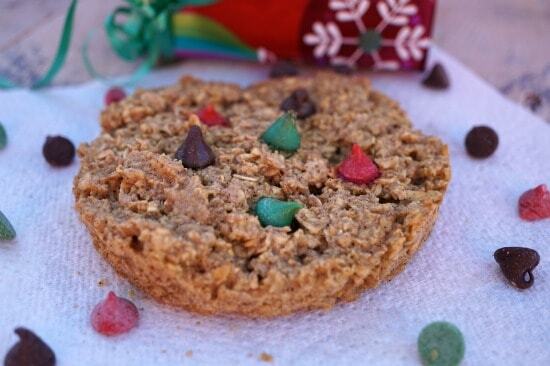 In a medium bowl, combine whole oats, pulsed oats, baking power, ginger and pumpkin pie spice. In a larger bowl, combine butter, egg, vanilla, syrup and sugar. Mix with an electric mixer until smooth. Add dry into wet ingredients, folding together with a spatula until uniform consistency is achieved. Drop dough using a 1 oz scoop on the sheets. Remove and let cool on a wire rack if available. 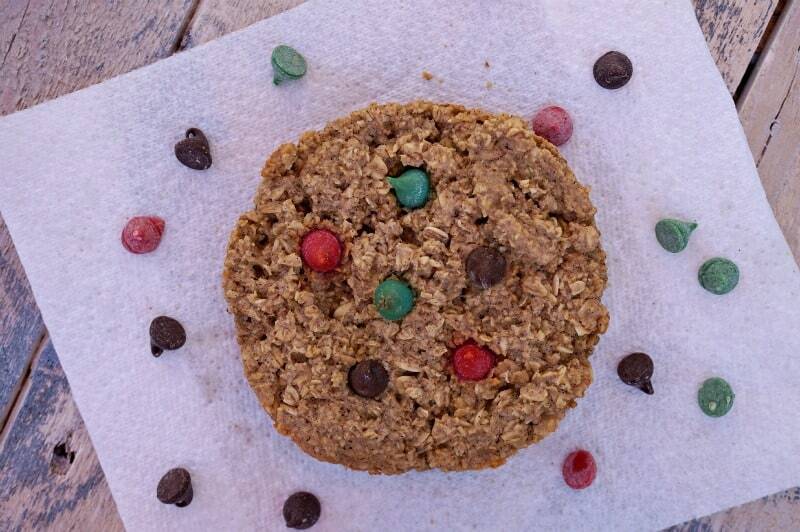 What cookie do you leave out for Santa? How about those reindeer? LOL- small changes make big differences! Glad to hear there’s a kindred spirit for the gingerbread love! Definitely leaving these for Santa this year! Love how festive these are! Pinning to make this Christmas! Gingerbread is my favorite holiday treat! I will be making a batch very soon! Ohhhh I have a little boy who needs to make cookies for Santa <3 Here we come gingerbread! Santa is gonna be happy when he comes to our house this year. These are amazing!